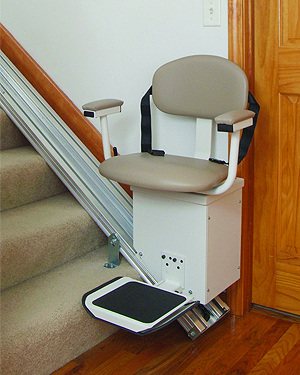 Affordable Mobility offers a variety of straight and curved stair lifts, for both indoor or outdoor use. Each promises a comfortable and quiet ride, that folds close to the wall when not in use. 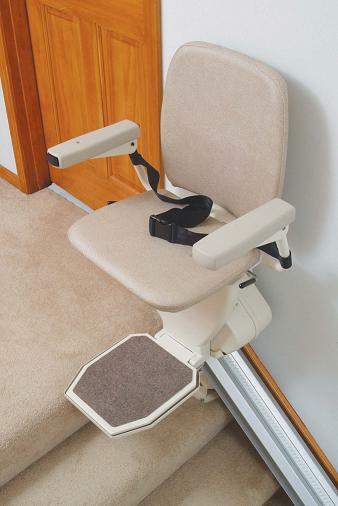 The Helix Curved Stair Lift is easily customized to fit tight curves and small spaces. Premium upholstery and ergonomic seating promises a ride that's ultra smooth and whisper quiet. Ergonomically-designed seat and full-fold armrest includes premium upholstery, and a standard manual swivel makes entry and exit easier. 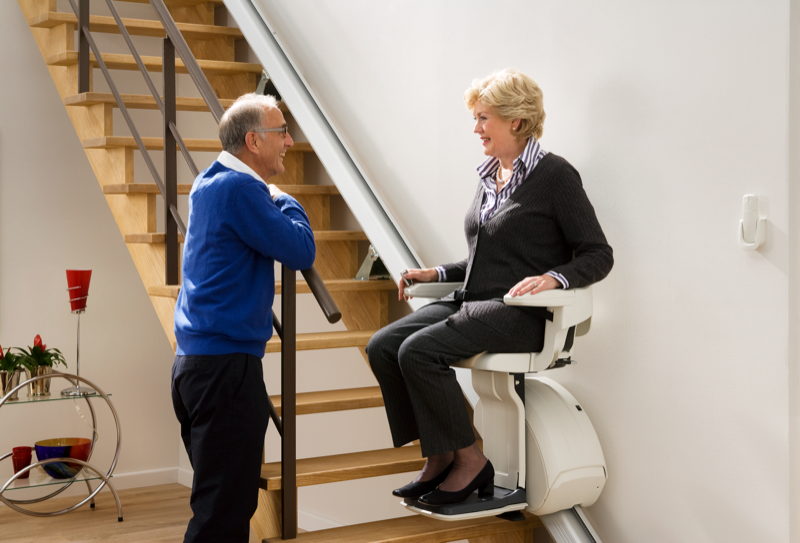 The Pinnacle is the most compact stair lift, and engineered to the highest industry standards, designed for optimal comfort, convenience and aesthetics. The patented helical worm gear drive generates the smoothest, safest, and most energy-efficient ride available. 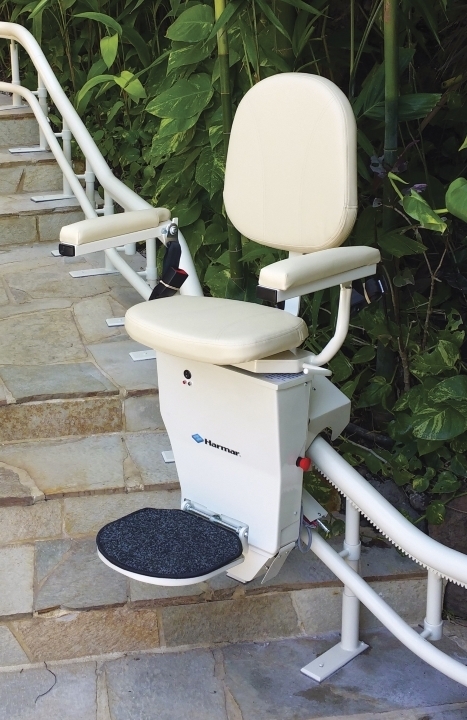 The Heavy Duty model is built to support up to 600lbs, swivels 85° at both landings, and non-handled for easy left or right side install. The Vantage is designed to provide a sturdy ride that's comfortable to the user as well as the wallet. Indoors or outdoors, the speed regulator and protected rack and pinion drive offers a smooth, consistent drive speed in both directions. The upholstered seat and powder coated chasis is sure to complement any home decor. The outdoor unit includes zinc plated components, exterior marine-grade vinyl cushions, slack cable brakes with switch, and waterproof covers.